MEI Research announces the August 2016 update of our PiLR Health cloud platform and PiLR EMA mobile application. 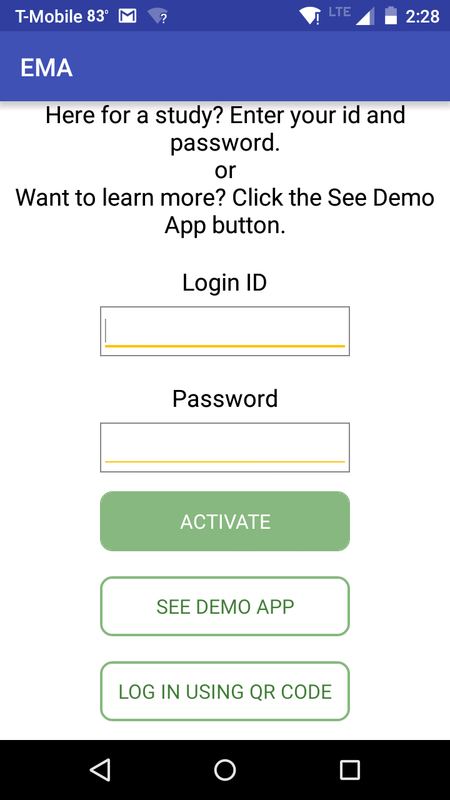 Participants can now connect to a study by scanning a QR code in the PiLR EMA mobile application, eliminating the need to send login credentials. All participants have to do is install PiLR EMA and select “…QR code” on the login page. Participants still are identified uniquely, but the identity and security credentials are assigned automatically. The QR code is specific to each project and is created on web site. The new QR registration is ideal for community surveys, recruiting for studies and rapidly enrolling a large number of participants. We also simplified and improved security for new research team users to register on the PiLR Health web interface. Project configurations (EMA Config and Project Setup) can now be locked to prevent accidental changes. New participants can be created and other functions remain available. This allows the investigator to give multiple members of the research team access to the project configuration while ensuring that no conditions are changed during a longitudinal study. You can create a custom Copyright statement that is displayed within PiLR EMA to help protect your rights to content provided in the app. The PiLR EMA Builder has been improved to give research teams more control of the mobile application landing experience. You can edit the Application Tab titles as well as the Application Name. Even the Logo that is displayed on the PiLR EMA App splash page can be replaced with a custom graphic. PiLR EMA and PiLR Health are introducing support for media cards. The EMA Builder function supports the creation of media cards for collection of pictures, and sound, and for use in PiLR EMA delivered surveys. PiLR Health provides built-in support for display of these media files.